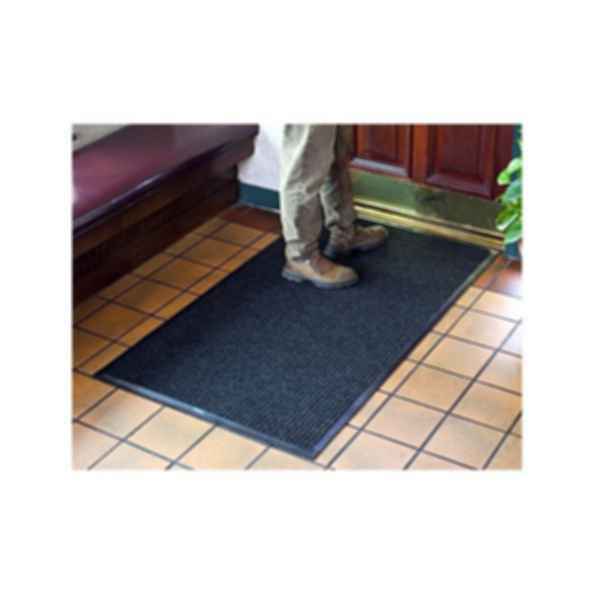 The Grand Entry Vintage 200 & 280 style retains dirt and water more effectively than any other mats in the industry. Their unique rubber reinforced waffle pattern aggressively brushes away dirt and absorbs moisture while the molded rubber border traps excess runoff that would otherwise drain onto you floor. Rubber-reinforced face nubs prevent pile from crushing extending product life. Fabric dries quickly; won't fade or rot. Can easily be vacuumed or hosed out. Available in Flat and Gripper backing types.